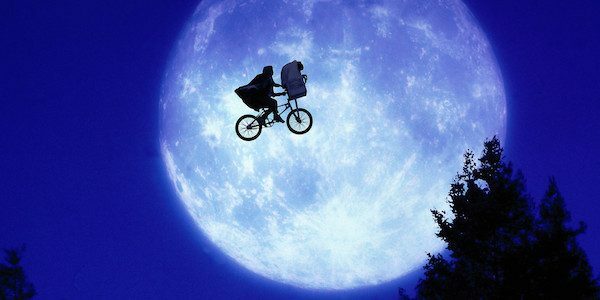 WHAT: Thirty-five years ago, a little lost alien, three million light years from home, wandered into the life of a lonely young boy … and into the hearts of moviegoers around the world. For two days only – Sunday, September 17, and Wednesday, September 20 – moviegoers across the country will have a chance to experience the unforgettable magic of E.T. The Extra-Terrestrial and his adventure on Earth once again. In the first nationwide re-release of E.T. The Extra-Terrestrial this generation, the yearlong TCM Big Screen Classics series from Fathom Events and Turner Classic Movies presents the original theatrical version of legendary director Steven Spielberg’s majestic, Oscar®-winning classic film on the big screen for two screenings each day. Before and after the feature, TCM Primetime Host Ben Mankiewicz will provide specially produced commentary. Originally released June 11, 1982, E.T. The Extra-Terrestrial features indelible performances by Henry Thomas, Drew Barrymore, Peter Coyote, Dee Wallace and Robert MacNaughton, and a screenplay by Melissa Mathison. Universal Pictures Home Entertainment also celebrates the film’s original theatrical release with a special gift set, E.T. The Extra-Terrestrial 35thAnniversary Limited Edition on 4K Ultra HD + Blu-ray™+ Digital, available on September 12. WHERE: Tickets for E.T. The Extra-Terrestrial can be purchased online by visiting FathomEvents.com or at participating theater box offices. Fans throughout the U.S. will be able to enjoy the event in nearly 700 select movie theaters through Fathom’s Digital Broadcast Network. For a complete list of theater locations visit the Fathom Events website (theaters and participants are subject to change).